212 Tax is one of the top NYC CPA firms. With a focus on the Manhattan area, our expertise in business and personal accounting, payroll management, income tax return preparation and LLC formation will save you time and money. Achieve the peace of mind you deserve by placing your financial concerns in our capable hands. So what exactly is a CPA? “Certified Public Accountant” is the official title given to qualified tax and accounting professionals. This title is for those who have passed the Uniform Certified Public Accountant Examination and who have also met educational and job experience requirements put forth by each state. New York State in particular sets a high bar for those seeking the honor, including mandating passage of a rigorous Computer Based Test (CBT) and requiring extensive work experience in the practice of accounting. You can rest easy when working with 212 Tax, secure in the knowledge that we have the skills and training to maximize your after-tax income and avoid costly mistakes. 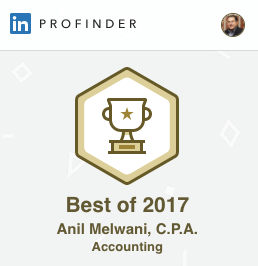 What sets us apart from other CPAs in NYC? By choosing 212 Tax, you get the peace of mind that comes with knowing you are getting solid advice and expert tax services. It is important to acknowledge the fact that living and working in New York City presents unique tax liabilities. In fact, NYC has some of the highest property taxes in the country. There are city-specific taxes on sales, hotel rooms, cigarettes, taxicabs and more. NYC is also one of the few cities in the U.S. that charges its own city income tax on top of state and federal taxes. Along with these liabilities come the opportunity to take advantage of property tax exemptions and reductions, income tax credits and tax return write-offs focused on the quirks of the New York City tax code. 212 Tax specializes in these nuances, so you can feel comfortable allowing us to act as your CPA. NYC clients like you rely on us year-round for expert, proactive business and personal tax planning and preparation. Many taxpayers have issues and needs that arise outside of tax season. As your local NYC CPA, 212 Tax is proud to address your accounting and tax issues throughout the entire year – without a decline in responsiveness or personal attention. With open lines of communication and quick turnaround times, working with us is easy and rewarding. At 212 Tax, we don’t just provide accounting and tax services — we provide invaluable guidance that can help you meet your business and/or personal financial goals. In fact, our clients rely on us for advice on issues not typically covered by the standard tax preparation service. In many cases, our clients turn to us for CFO duties, payroll, bookkeeping and sales tax preparation. With tax planning from 212 Tax, you can successfully and legally reduce your tax liability. When you partner with us, you get proactive advice on tax-saving strategies that maximize your income after taxes. By staying on the forefront of changing tax law, we’re in the unique position to find new ways to save you money. We’ll help minimize your taxes throughout the year. Contact us today to schedule an appointment or learn how we can help your business achieve more. Call our Manhattan office at (646) 699-3503 or email us at info@212tax.com.